When I arrived at the park, I quickly went to the cashier to get a zipline package. A great deal of 600 PHP for the combination of all three ziplines (320m + 150m + 840m) is what I availed. There’s a big group ahead of me so I have to wait in line to take my turn. I waited at the gazebo, spent time enjoying the awesome breeze and the surrounding views at the park and took photos around. I adore the place as it reminds me of Baguio. The pine trees and the cool breeze of the air is truly an added treat! When my turn came, the staff put on the helmet and harness, and I’m off to go! Yahoo!!! The 320m and 150m ziplines were done on a sitting position. It's thrilling and so much fun! However, it was actually just a preparation for the next “big” thing. Just to "warm you up"! Hahaha!!! Tweet : Just finished the 320M and 150M ziplines here at Dahilayan Adventure Park Bukidnon..next is the 840M zipline..wahhhh! The main attraction of the park is the 840m zipline for it is known as the Asia’s longest dual zipline. Together with the other group, we took the park’s shuttle that brought us to a launch tower at 4,500 feet ASL. It will be the starting point of the 840m zipline. I was nervous while being instructed by the staff on what to do. They told me that I could put my arms on my sides if I want to increase the speed and I could spread my arms wide with palms against the direction of the air if I want to slow down. And then the crew hung me, opened the gate and prepared to let me go. Wahhhhh!!! It was scary at first knowing that I’m alone up there in the air. Hahaha! I felt my heart throbbing madly against my chest. I shouted and screamed on top of my lungs to comfort myself. I kept my eyes wide open to enjoy the lovely scenery. All the pine trees and the picturesque landscape below me is truly breathtaking. I could feel the adrenaline rushing to my body and the soothing cool breeze of the air is blowing hard against my face. I must admit, it was scary but definitely so much fun! I enjoyed the ride and felt very proud to have survived it! I know you can also do it! And I bet you'll also have a great time! The park also has a hotel, the Pine Grove Mountain Lodge. So if you want to stay for a night in a ski chalet inspired Manor, try their rooms and enjoy a 180-degrees view of the Mt. Kitanglad Range Natural Park. Click here to know how to get to the park. Photos and certificate are also available for 100 PHP. 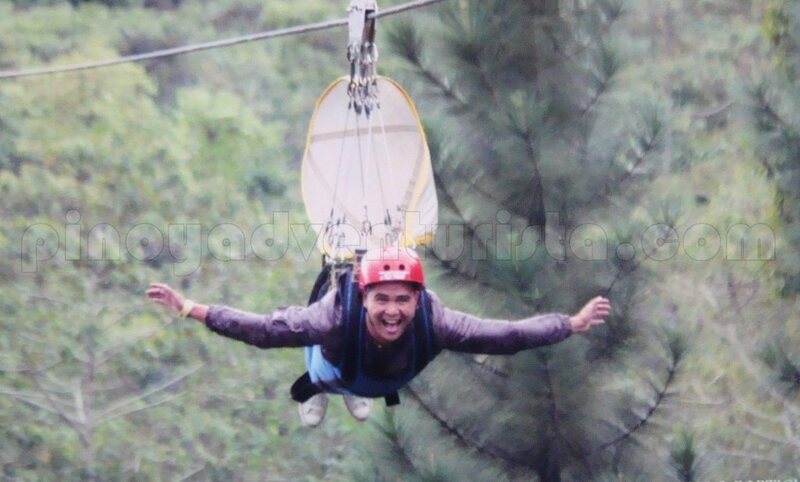 Tweet : I survived all the ziplines in Dahilayan Adventure Park!!! sarap no! :D Sana merong ganyan sa Manila! Hhehe! Sarap ulit-ulitin kaso ang layo! i like the idea of flying (a bit) over pine trees. ganda pa ng lugar. ang sarap nman d2 tlagang longest zipline dito rin ata nag shoot sina sam at kc... ok sir trip mo..
@Nicole - sa MOA meron kaso maikli lang... sa may QC meron na din... pero di pa ko nakapunta... hehehe! @fedhz - you can do it! sa umpisa lang nakakatakot... hehehe! @dong ho - yeah, pine trees talaga yung makikita mo sa baba... hehehe! 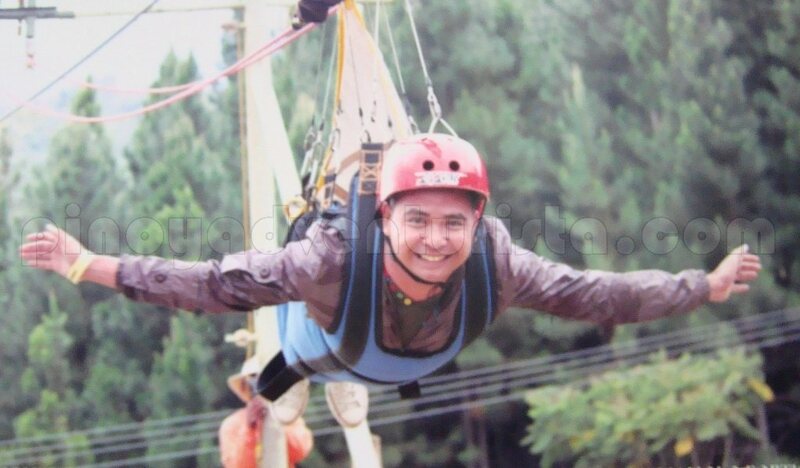 That was awesome exp..I went thru that feeling when I tried my first ever zipline in Tagaytay. eh what more if I'll try this longest one! Katuwa!